Empresse Publishing works with Bart Baggett to host seminars, webinars, coaching, and consulting. 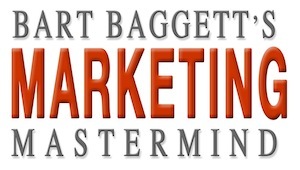 You can get group and personal consultation from Bart Baggett through the Marketing Mastermind Program and the Best Seller & Beyond Program for Authors. Price of this program is $197 month. Includes 3 Live Classes and Access to Membership Website. Special Price for Charter Members is now just $79 per month. coaching program is just $4997.